When we talk about reworks we normally think of customised sneakers, misplaced logos or two badly sewn together t-shirt halves à la Vetements. The last thing we’d ever think of would be a personalised mask. And that’s exactly what Shin Murayama is specialised in, he’s a designer and artist of Japanese origin who has managed to carve out a space for himself in the world of streetwear and has even collaborated with brands of the calibre of Stüssy, HUF or Alyx, and the rapper A$AP Rocky. Born in Niigata (Japan) in 1977, a graduate from the prestigious Bunka University in Tokyo, he started to work for several fashion brands. 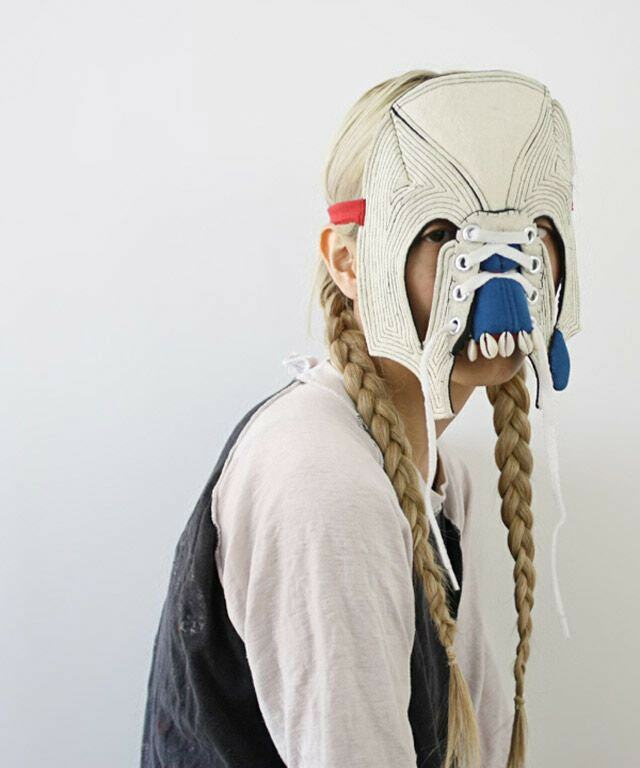 It wasn’t until 2008 when he moved to New York that he decided to embark in what he calls his mask series under the name of Twoness. It’s not exactly known why Shin decided to commit to only making masks, but it’s very clear that this has been one of the best decisions he could have ever made. 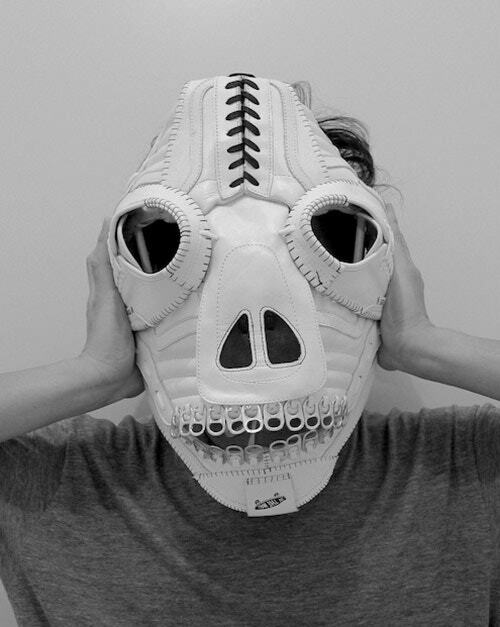 Shin, who calls himself a soft sculptor, designs masks that are similar to the ones Jason Voorhees wears in Friday the 13th, made out of bits and pieces from baseball caps from brands like HUF, Stüssy or Ralph Lauren. 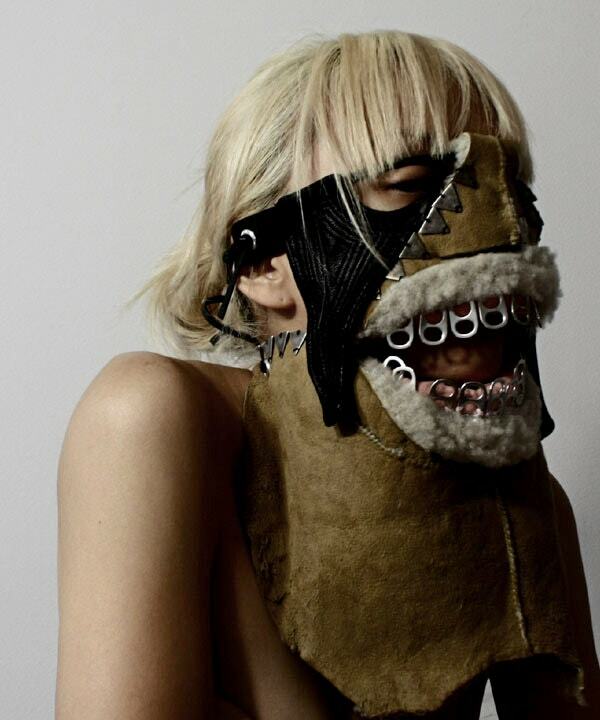 Other masks can be described as Frankenstein-like made from the leather found in cowboy boots. And not to mention his wigs that look like those that Cleopatra wore in her day but in a much contemporary version made out of fluorescent Nike socks. And that’s why Shin’s designs stand out so much, for their DIY quality and for their inimitable originality. If we think about the most recent masks that fashion brands have come up with, we immediately think of Calvin Klein and Gucci’s balaclavas, or the jewel masks that hide the whole face by Maison Martin Margiela, that were surprisingly worn by the megalomaniac Kanye West in his Yeezus tour (2013-2014). But what Shin does is completely different, his artistic proposal is based on using different items of clothing, many of which are Stüssy. 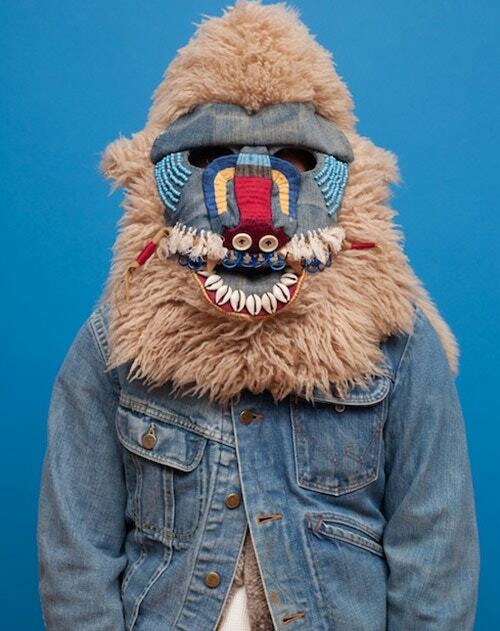 Murayama ended up collaborating with them in a capsule collection that was released in the last leg of 2018, years after having gifted a personalised mask to Michael Kopelman, a member of the International Stüssy Tribe. In honour of this group of skaters and friends of the brand, Shin called his collection the International Sewing Tribe, clearly alluding to the DIY nature of his designs. 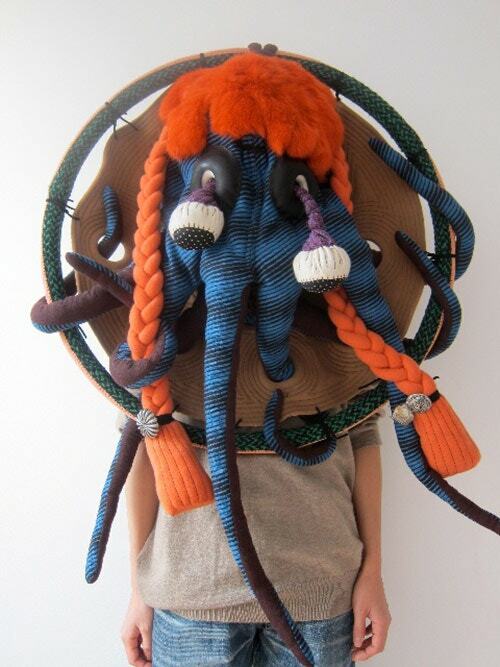 Shin doesn’t like talking about his masks, he believes that the designs alone speaks for themselves. 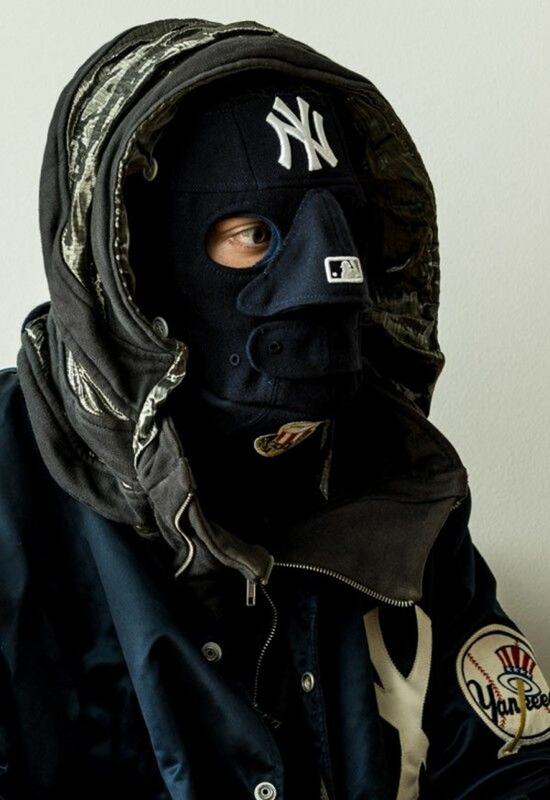 We could speculate that they’re some kind of protest against racial stereotypes, or they could simply be a way of protecting our identity; but honestly, who cares, what’s important is the fact that he’s able of sculpting with his own hands the best masks possible made out of bits and pieces of streetwear brands’ items of clothing.